These Rifle Paper Co. cotton print hairclips work wonderfully to tame even the wildest locks, while looking stylish and cute at the same time. They are the perfect accessory to match back with other Pollen Clothing designs. 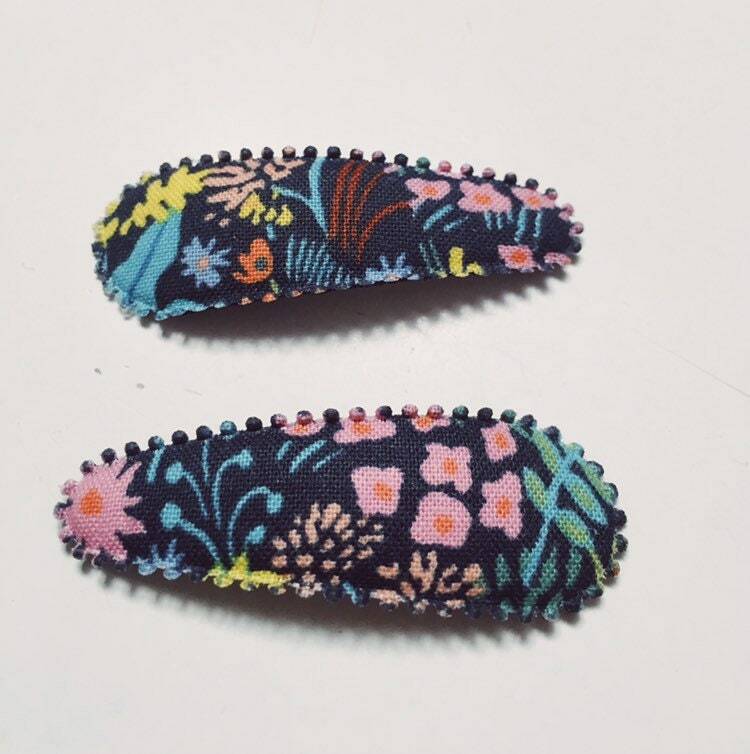 Handmade using the finest quality 100% cotton, these whimsical hairclips have a petite scalloped edge, adding an eye-catching detail to the finished look. 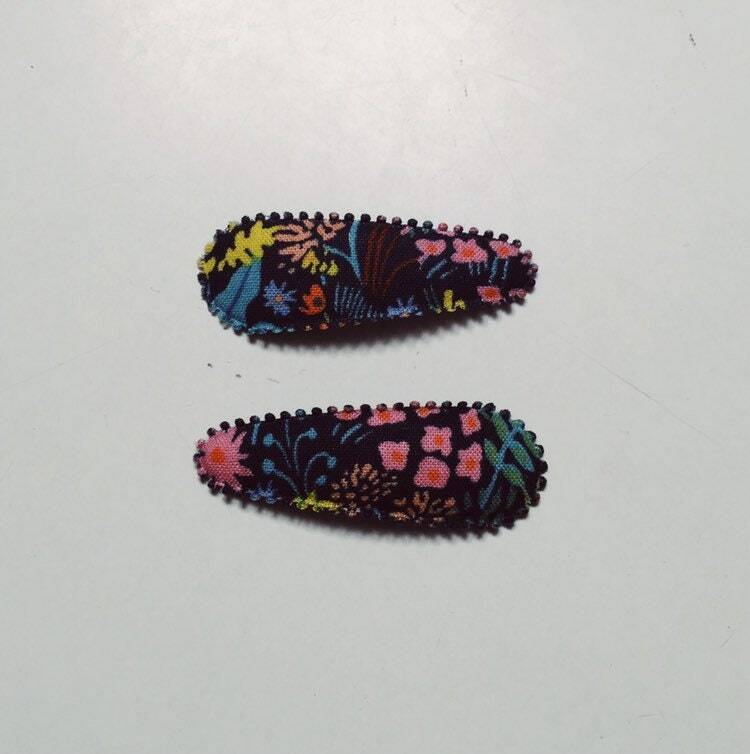 Each metal hairclip is 5 cm in length. 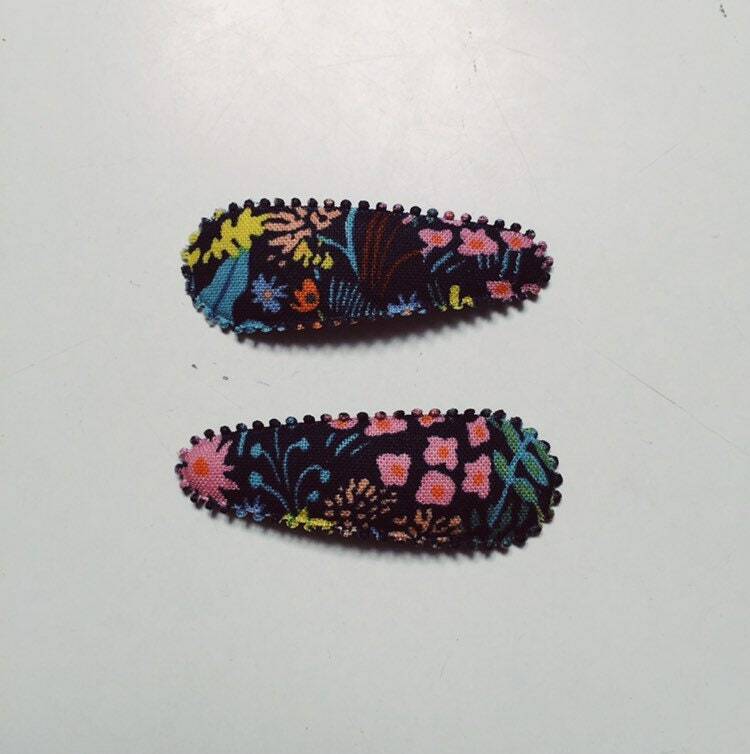 The underside of the clip has a soft felt backing, colour-coded to match the print fabric on the front. Josie Jones Rifle Paper Co. cotton hairclips come as a set of two (2). I am thrilled to introduce this stunning range of Josie Joan's Rifle Paper Co. hairclips to the Pollen Clothing online store. I believe they fit well into the Pollen range, with a continued focus on making children’s wear stylish, whimsical and fun. Handmade in Melbourne, Australia from iconic 100% cotton. PLEASE NOTE: As each clip is individually made, the positioning of the Rifle Paper Co. print may be different to that photographed.